Blocked drains are among the common plumbing problems that people face. Methods such as using caustic chemicals to unclog drains are likely to erode the pipes and cause further damage. Chemicals can also reach groundwater and increase the risk of polluting drinking water. The best solution for unclogging a drain is to hire a professional plumber. Numerous small blockages can lead to a major blockage that may burst the pipes. Clogged drains are caused by different things, including blockage that results from tree roots that grow into pipes. Other reasons for blocked rains are debris fro the kitchen such as oil or fat rinsed off plates or leftover food that goes down the drain and sticks to pipes. As time goes on, small blockage may grow as more material accumulates. This is why it is advisable to avoid disposing of food into the plumbing system. Flushing an excessive amount of toilet paper can also block the drains. One of the main forms of damage in household plumbing systems is clogged drains. Along with showers and skinks draining slowly, water that remains in the pipes for a long time can lead to faster rusting. Many people make the mistake of initially ignoring small blockages and wait until the situation is unbearable before they call a professional plumber. Some homeowners try to unclog their blocked drain by using plungers or chemicals that can be harmful. Licensed plumbers are available to deal with all drainage problems and prevent their clients from ending up in hazardous situations. Plumbers who specialise in dealing with blocked drains are aware that each blockage is unique. The location and type of blockage will determine the exact solution for resolving the problem. One of the first things you can expect a plumber to do is locate the blockage before providing a quote for blocked drain repairs. After finding the location and figuring out the issue, a professional plumber will let you know whether the job will be quick or requires more complex drain repairs. Replacing a blocked drain is typically the last option. Replacements may be required but there are multiple successful and quick plumbing options for removing blockage and minimising the possibility of a reoccurrence. High pressure hoses are among the options that can be used to remove a small blockage. It is a fast and simple option that is preferred by many plumbers and it can save you a lot of money. However, this particular solution may not address the underlying issue. As pipes age, blockages are more likely to occur. At this point, some plumbers will recommend that you replace the pipes. With the right equipment, old pipes can be restored as a cost-effective alternative for solving drainage problems. 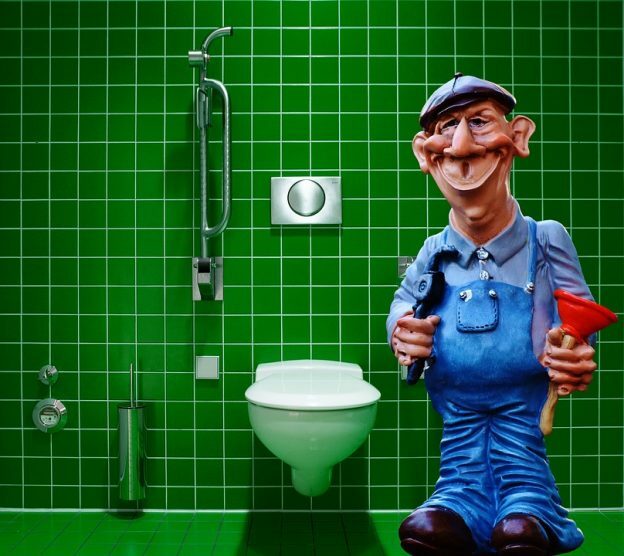 Plumbers require a variety of equipment that is specially designed to locate pipes and blockages. This is essential for handling blocked drains along with the ability to identify different types of blockages and the equipment that will be used. Modern equipment is used by plumbers to identify and fix blocked drains.